Now the Hilton hotel in Ukraine only in Kyiv. In place of the closed Museum in the Park of culture and leisure. Bogdan Khmelnitsky in Lviv will build a Hilton. On 10 April announced the city mayor Andriy Sadovyy at the meeting of the Executive Committee of Lviv city Council. “We decided in Lviv want to build a hotel, you think Hilton. There should be half of the building is a classic hotel, half of the building is an apart – hotel. It must be a building of high architectural level is a work of art,” he said. Garden added that the developer will Finance the reconstruction of the Park, where they will build the hotel. As reported, on 20 September last year Lviv city Council agreed on the sale of the land area of 1.06 hectares at the St. Lyzwanski, 1 in Lviv, OOO Aparthotel for of 18.52 million. Under the urban conditions, the building height shall not exceed 34 m. Approximate building area of 1.6 thousand sq. m. Total area of 8.3 thousand sq. m. Planned construction of the underground Parking area of 1.4 thousand sq. m.
OOO Aparthotel created in 2016. 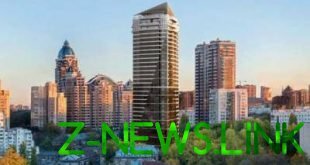 According to the Unified state register of legal entities, individuals-entrepreneurs and community groups, members of the company are Rostislav Zaremba, Stepan Stoyko (each of 49.3%) and Roman Popko (1.3 per cent). The authorized capital of the company for April-2019 is of 5.07 million. Now the Hilton hotel in Ukraine only in Kyiv. It opened on March 26, 2014.